Given Ed Mangano, spokesman, Rob Walker, is still playing that taxpayer will of the people card a few days ago as the excuse for the Islanders moving to the Barclay's Center (maybe) along with comically stating the Islanders will still be playing games at the Coliseum (possible cameo's/not definite in 2017) I thought why not write it once more for those in the cheap seats or with very short memories. About twenty six or more NHL teams have or had received massive taxpayer assistance. 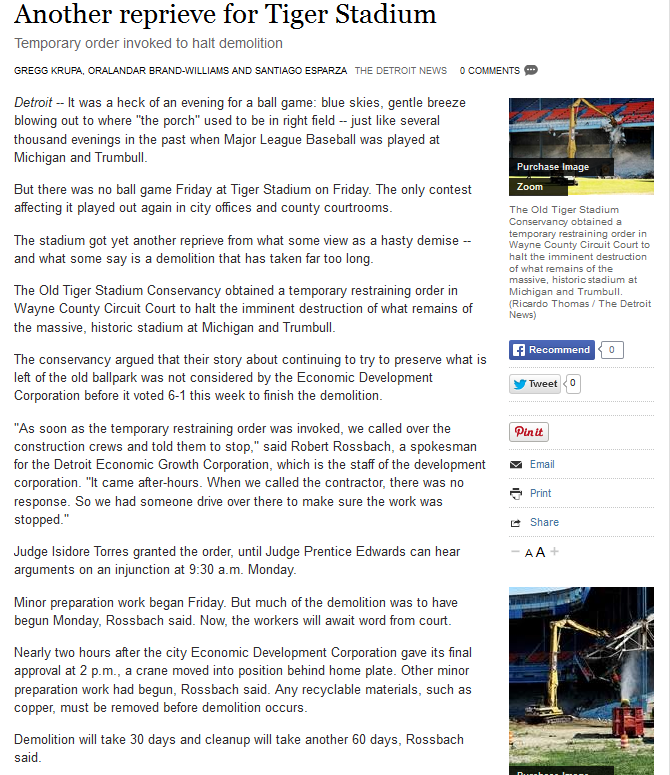 Mike Illitch got a taxpayer funded baseball stadium, and neglected historic Tiger Stadium to it's demolition getting paid to not maintain it. Please don't take my word for it, "Stranded At The Corner", A Documentary On Illitch's Role In The Destruction Of Tiger Stadium is there for all to see. 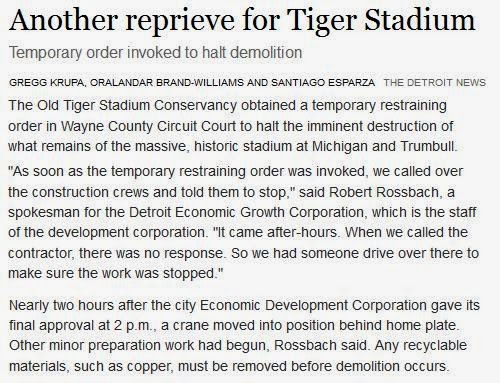 Illitch people even had the corrupt Detroit City Council defeat a conservancy group, which had demolition crews tearing into the grandstand thirty minutes after the the final decision (and days before below) in a town of vacant buildings for decades. And this is someone who does not even pay his rent/cable fees back to 1980 while Wang was cleaing up sewage in a building he renovated many times for his Smg/Nassau landlord after he ended past litigation. Can you imagine how badly all these teams would lose a referendum vote? The Islanders got 67,000 people to vote yes with Wang doing interviews non-stop. I left out Msg's taxpayer funded renovation in 1990 that came in around two hundred million for those teal/purple seats & I left out Mayor Lindsey's 1973 taxpayer funded renovation that was supposed to be 24m for Yankee Stadium, that came in well over a hundred million so brand new owner Steinbrenner would stop paying his rent by the early 80's as he started his New Jersey, West Side Stadium threats. The Tennis mayor (David Dinkins) got his taxpayer stadium in Flushing Meadows leases approved in the waning days in office here which upset the Yankee baseball mayor Giuliani. Illitch was handed the keys to the taxpayers money on 3/31/14 all past bills forgiven, lighthouse development, even demolition of Joe Louis. 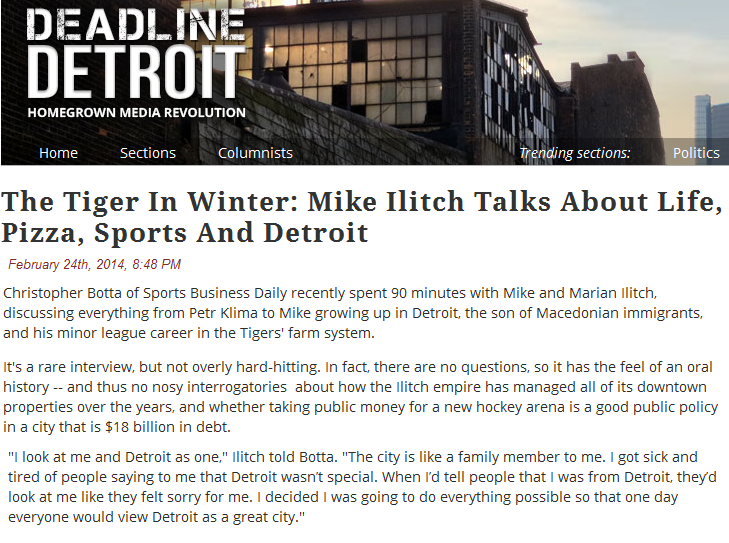 And of course the sources, sources and even more sources amateur, all over the Isles daily business (via sources) traveled all the way to Detroit, to not ask Mike Illitch any questions, but more importantly quietly let it all pass when he returned home with a new gold star on his NHL resume when it was time to sit down, and write about the taxpayers role in Mike/Marian Illitch's success. Instead time to move on to a new biographic on a slots licensed employee of the former Smg tennant/lower than the Isles payroll Pittsburgh Penguins before they got paid by the citizens without referendum. I guess a weekly sourced based circus about any other NHL teams businesses getting taxpayer money (starting at Msg with that increasing seventeen million dollar yearly taxpayer exemption check) would not be good for the career. @nyifancentral I should have. That's on me. There were several questions I wish I'd have asked in retrospect. That's one. That folks is an honest answer. 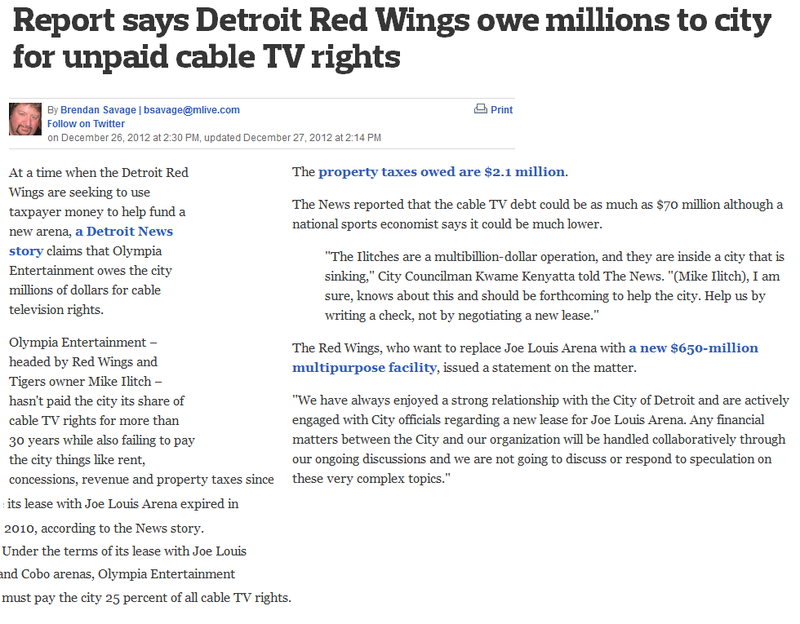 Fear not, professional journalists in Detroit did speak for the taxpayers and not just write about pizza. Funny, where did I read all this before about Nassau, someone other than Charles Wang? Something about two years, time's running out? 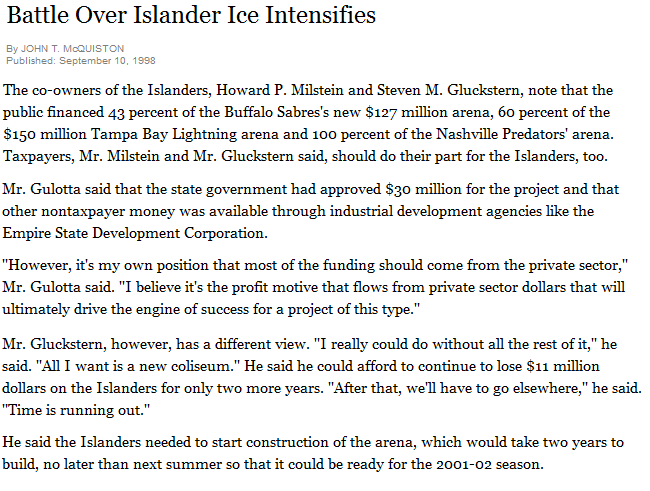 Come on....Steven Gluckstren even said all he wants is a new Coliseum? 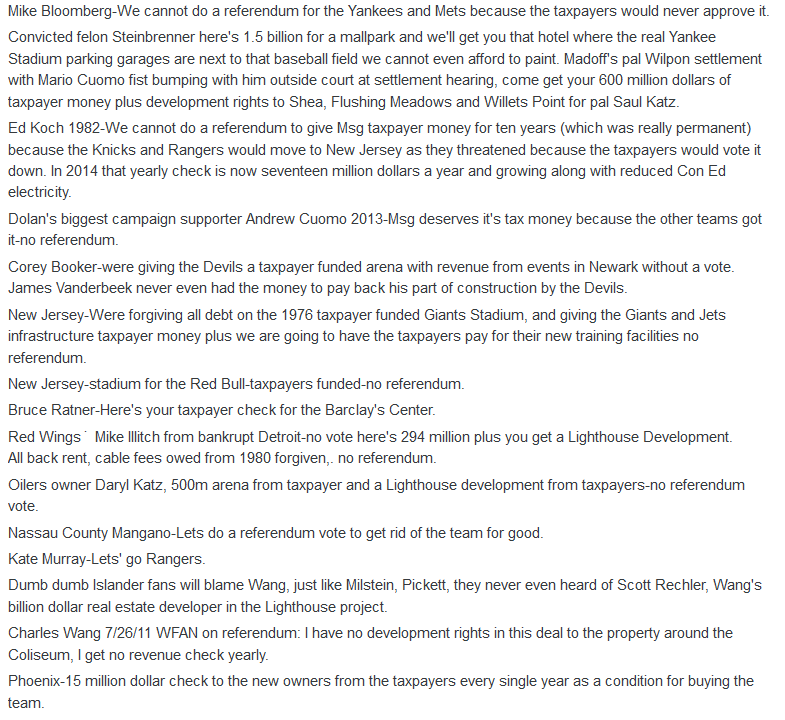 That's what Wang said on WFAN 7/26/2011, he has no real estate rights in Mangano's referendum. 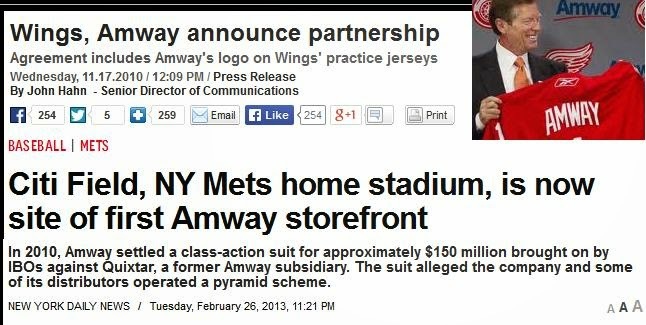 But Wang bought ONLY bought the team for real estate, how can that be? 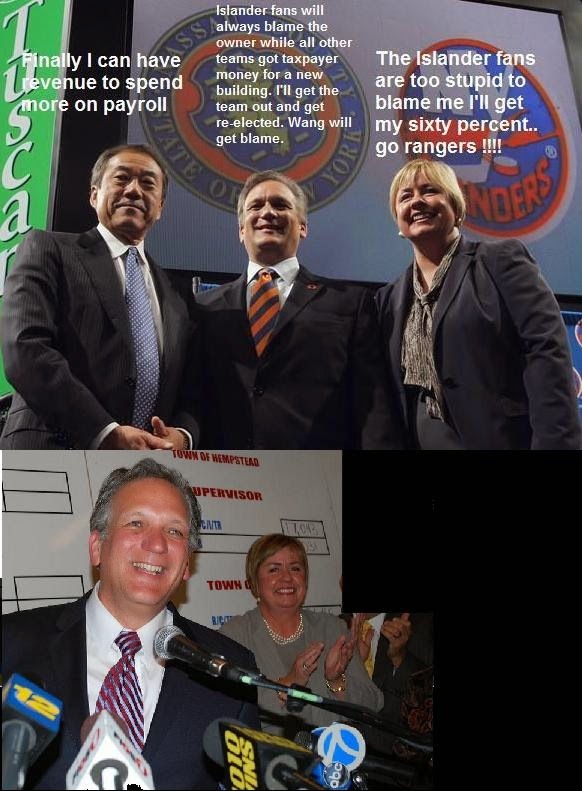 Alexei Yashin, Michael Peca, & Rick DiPietro got 176 million dollars of Charles Wang's money to influence politicians who never went to games or heard of this team after 1984. A referendum? Serious politicians who consider the team a public trust, lock the doors, and get a deal done never using a referendum as a permanent out card because they are not up to doing their job. No folks, I had my suspicions but felt Nassau/TOH could not be the worst anywhere in the US/Canada, and would not be so dedicated in forcing their own team to leave. Many times I wrote if the referendum failed it would produce the ground work to an eventual deal. I will admit a little denial on my part now when those entries were written.